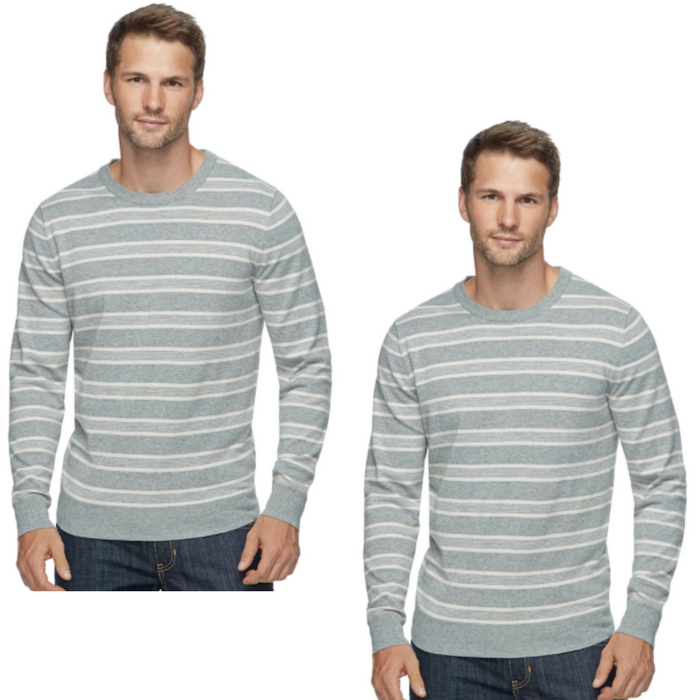 Men's Crewneck Sweater Just $3.50! Down From $50! PLUS FREE Shipping! You are here: Home / Instagram / Men’s Crewneck Sweater Just $3.50! Down From $50! PLUS FREE Shipping! Men’s Crewneck Sweater Just $3.50! Down From $50! PLUS FREE Shipping! Kohls is having great deals right now! Score this Men’s Crewneck Sweater for just $3.50 down from $50 when you use promo codes RAINBOW30 and FREE4KC at checkout! PLUS, it’s FREE shipping! Always in style. This handsome classic-fit men’s SONOMA Goods for Life sweater never disappoints. Coolmax technology delivers cool comfort.